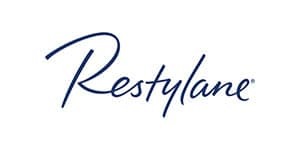 Restylane® is an Hyaluronic Acid (HA) product that is formulated to emulate and act like your skin’s naturally occurring HA. When properly injected can help improve the appearance of lines and folds for up to 8 months. This chemical form of exfoliation brings rejuvenation to aging, photo damaged skin. Facial vein removal– Facial vein laser treatments are used to eliminate small spider veins in the face. Tattoo removal– Many tattoos can be removed with laser therapy. Our physicians can discuss the procedure and expected results with you. Hair removal– A safe and convenient non-invasive method of reducing unwanted hair from your face and body. Age spot and Wrinkle Treatment– This laser procedure is capable of diminishing age spots, fine wrinkles, broken capillaries, birthmarks and more.